While I can’t say I have EVER attempted to skate on a skateboard before I LOVE to stop into West Side Skates to admire the goods. Besides “decks” and wheels, the store also has an incredible line of hip shoes and detailed constructed clothing. Again, the colors and patterns and quality of fabrics is not too be messed with, these skater kids (or skater adults!) sure do have a thing for style. Even skaters have a love for the cute and clever don’t you think? Keep Calm and ROLL Away, how cute! I’m serious though, if you are ever in the market for a new pair of Ray Bans, a bold pair of sneaks, perhaps some fun stickers, hats or a chic Nixon watch, go visit West Side Skates they will hook you up. It’s really incredible! PechaKucha Night! Japanese for “the sound of conversation,” this exciting evening features 14 “speakers,” each sharing on topics ranging from art, architecture, and technology to food, film, music, photography and furniture design. These rapid-fire, 400 second long presentations (20 slides per presenter X 20 seconds per slide) keep audiences engaged while breaking down barriers between different design communities. 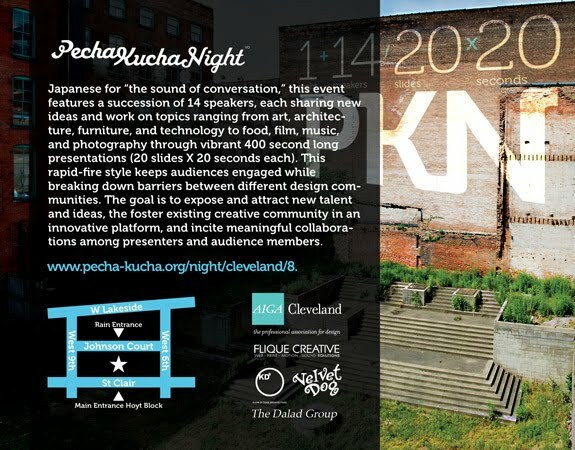 On July 30th, 2010 at 7:00pm, the courtyard at the Hoyt Block in the Warehouse District will open up for the first time in 10 years to host a dynamic event that has touched over 300 cities across the world: PechaKucha Night (PKN). I’ll be presenting on the topic of “Everything Chartreuse,” from the color, the liquor, the place…to examples of design. I look forward to seeing you, meeting you there!